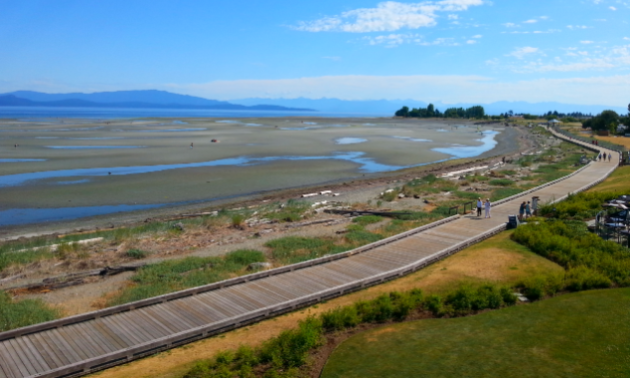 When most people visit the Parksville Qualicum Beach region, their first stop is the beach. The 19-kilometre stretch of sandy shores is worthy of your attention, to be sure, but beyond the beach is a thriving and interactive art scene that’s just as impressive. “Parksville Qualicum Beach’s artistic style is hands-on and approachable,” said Blain Sepos, executive director of the Parksville Qualicum Beach Tourism Association. The region has dozens of galleries and studios. Art lovers can meet resident artists at The Old School House Arts Centre in Qualicum Beach and McMillan Arts Centre in Parksville. Both locations showcase local artists’ work and offer classes and workshops regularly. Pyromania Pottery has public raku days a few times every year for all ages to come, purchase a pot, glaze it and leave with a work of art. 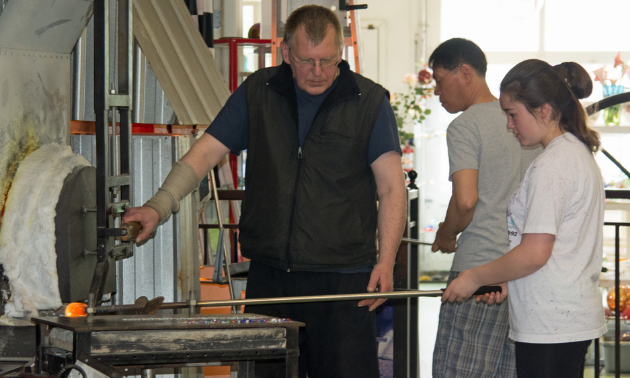 Robert Held Art Glass offers a hot glass experience where you can work one-on-one with an experienced glass blower to create your own one-of-a-kind piece. You can even contribute a few brush strokes to a collaborative painting by a famous local artist who goes by the name of Monk. The Salish Sea Market in Bowser offers artwork, jewelry and artisan food—all sourced from artists located on the Salish Sea. Besides all the places to go and view art, many of the buildings themselves are works of art. 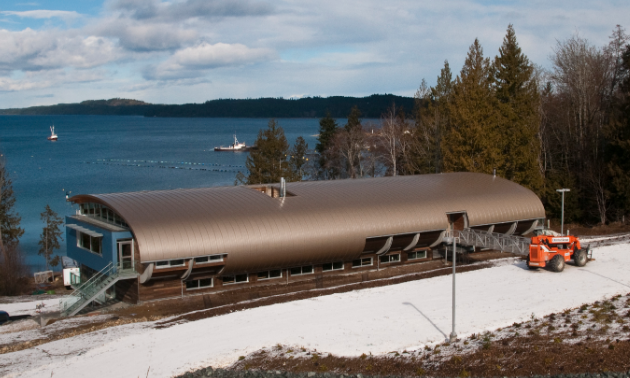 Another incredible feat of artistry includes Vancouver Island University’s Deep Bay Marine Field Station, which looks like a massive wooden and aluminum clamshell. The station overlooks Baynes Sound, one of B.C.’s largest shellfish production areas, and was the first Canadian university building to earn a LEED Platinum rating. There are many terrific reasons to visit the Parksville Qualicum Beach region—from the beach to the architecture and the interactive art. 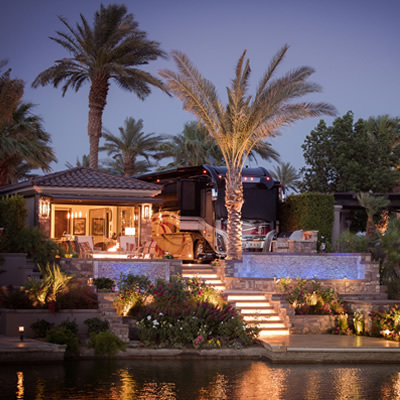 Another definitive reason to stop and stay in the area is the vibe.